Welcome to MFT's March Release Replay! This is our time to share more inspiration using products from this months release. For me, this is the prefect time for me to use some of my favorites from the new release again. I am such a sucker for the word die-namic--simple and swooshy! The Duo Friends die-namics gets all the heart eyes from me;-). And the Pressed flowers are extra beautiful when done with watercolor and some sweet greenery. If you haven't stopped by the MFT's Blog make sure that it is your next stop! 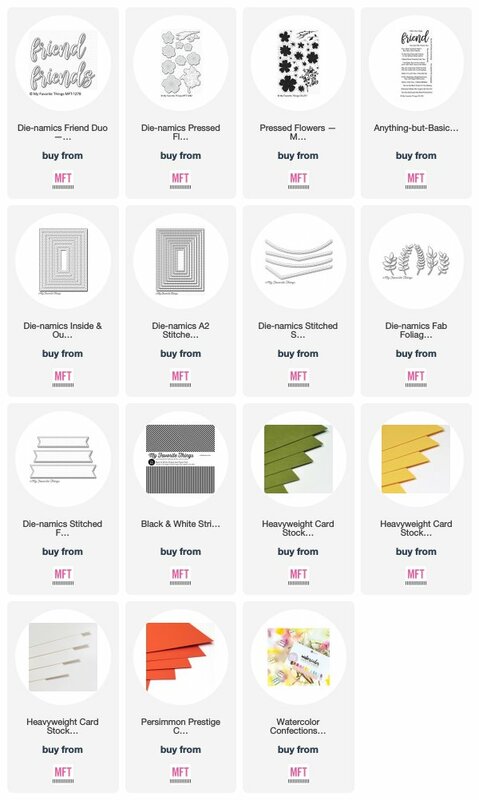 There are links to more DT blogs sharing more inspiration for you to take in using the new March release products. Enjoy, have a good day!